DT-LAN-CAT. 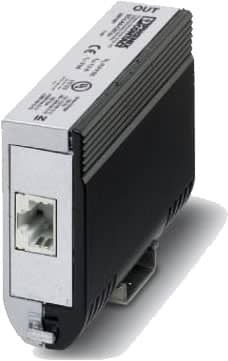 6+ - surge protection device for Ethernet Transmission speeds up to 10G. Connection: dual RJ45. A protective adapter to be inserted into the data line for the protection of LAN interfaces and the RJ45 cable. For complete product details and technical specifications, please visit our DT-LAN-CAT6 Surge Protector Product Page.